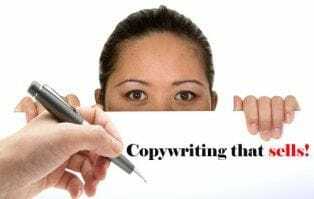 Are you looking for copywriting that really sells? Professional copywriting is salesmanship in print and we've discovered the key to making it sell. Forget literature masterpieces and stiff, over-pompous prose, our copywriting is professional, action-oriented and accessible to the masses. The key to our success lies in our ability to quickly identify the marketable qualities and values in your product or service, and to communicate these to your target audience in a fresh, original and action-oriented way. Our integrated copywriting, marketing, eMarketing and campaign management systems are designed to create measurable results that will immediately impact your readership and bottom-line results. Plus, when combined with our FastTrack eMarketing program, you'll be able to achieve all this AND reduce the amount you spend on customer acquisition and retention. So, whether you're looking for professional copywriting to boost your advertising impact, a customised eMarketing solution to solve your individual business challenges or a traditional marketing campaign, Altitude Communications have a customised copywriting solution that will help you to achieve your goals and generate results. So you like what you read and want to get started? In short , we listen, we think, we create and then we communicate! Our team of copywriters have the qualifications and "street-smart" savvy knowledge that will help to propel your business to the next level. For more client comments click here.